Dave: I think it’s just discovering what I wanted to do, discovering what I was good at in life. Dave: Tony Abbott for his ability to apparently still be popular. Dave: I would like to say abusing me but that’s not true, that would be lying. Probably trying to tell me how funny someone else is, or recommending someone else’s comedy. Dave: That life is silly and just don’t take it seriously. 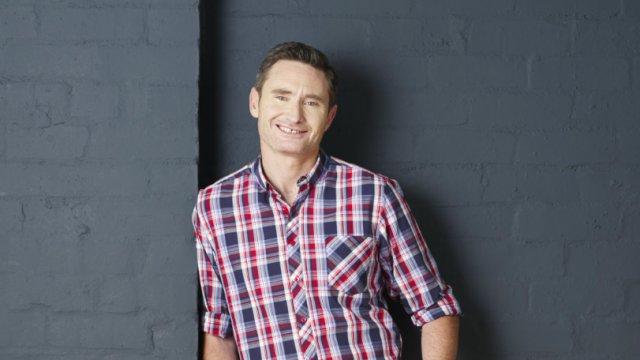 TBS: What advice would you give a 15 year old Dave Hughes? Dave: Again, life is silly, just don’t take it seriously Dave. Dave: The problem is knowing something that no one knows, because I’m so willing to share my secrets. I actually do subscribe to many online services, but then can’t use any of them because I always forget my passwords. Dave: It’s probably not pretentious but I use the phrase “as a team” a lot on my radio show. “As a team we need to be better.” People claim I am having a go at them. It’s not pretentious, but it’s my most-used phrase. Dave: Any alcohol because I haven’t had a drink in 20 years and I don’t feel bad about it because they obviously haven’t put an ounce of thought into what I am actually into. Dave: I love inspirational quotes, I am a bandit for them. I used to have inspirational quotes on the wall of my share house back when I was on the dole, and my flatmates used to mock me. They are still on the dole. The quote I try to remember is “Life can be ridiculous”. TBS: What can fans expect from your PUMPED shows? More upcoming shows with Dave – click here.